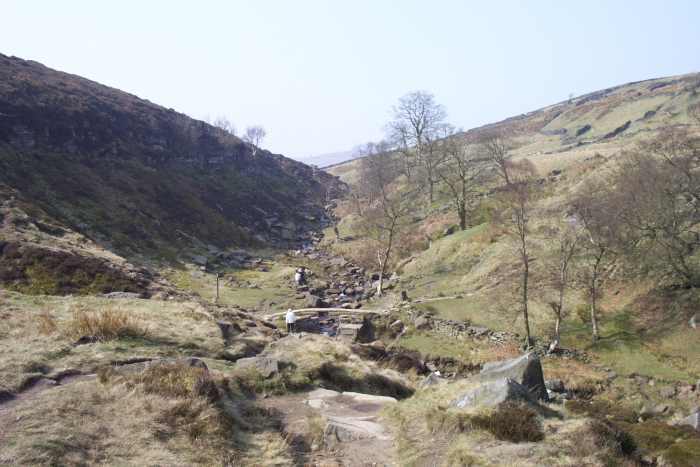 The walk is approximately 2¾ miles long, most of the walk is on reasonable footpaths, as you get near to the Bronte waterfall, it can be muddy in parts and there are some uneven steps. Advisable to wear sensible walking shoes. 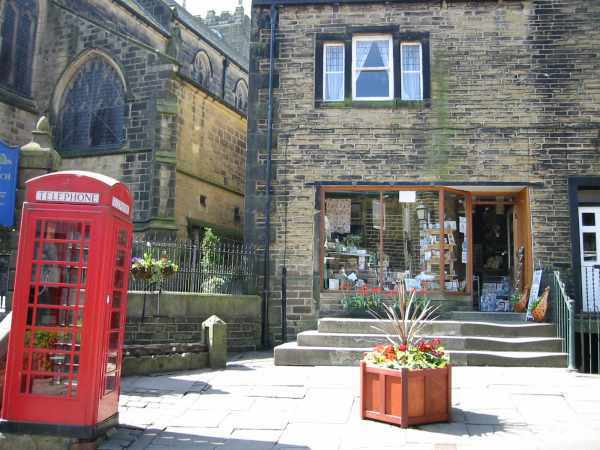 The gift shop by the stocks was the post office from where the Brontes sent their manuscripts. 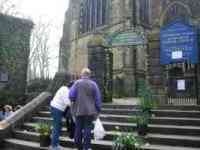 On the left of the path there is a font from the old church. 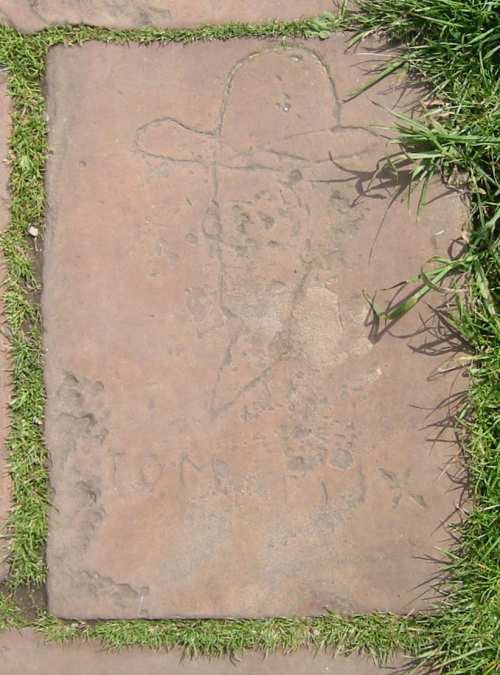 It is inscribed William Grimshaw, A.B Minister AD 1742. 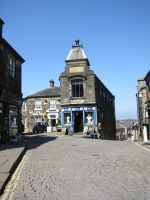 In 1742 he moved to Haworth where it is said Christianity was in decline. Very soon, due to Grimshaw's passionate style of preaching it is claimed that over a thousand people came to hear him. William Grimshaw being a close friend of John Wesley contributed to the establishment of the Methodist system, helping to build a Methodist Chapel in Haworth in 1748. 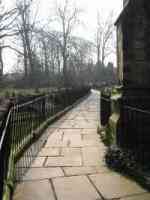 Grimshaw died of fever, aged 55 in 1763 and is buried at St Mary's Church, Luddenden. 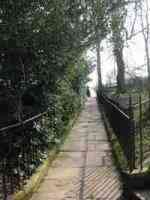 Past the iron Kissing-gate, one of the paving slabs has a face carved in it. This was carved by Eric Sawley who was born in the 1920's. He lived at Rock St Keighley and this stone was carved there by him when he was about ten. 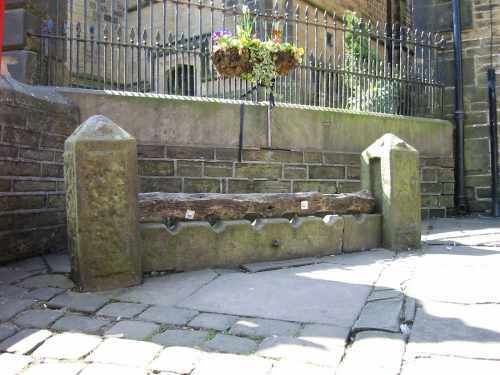 The council demolished Rock St and the paving stones were brought to Haworth. 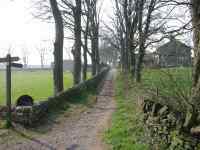 Follow the sign "Bronte falls 2 1/2 mls" until you come to a main rd. Penistone Hill used to be a quarry, evidence of which is scattered around. The area is now a Country Park. Sign directs you right, follow footpath until you come to a Main rd. Main rd junction, cross over, continue down the road, take the path left. You can see Lower Laithe Reservoir started in 1914, work was delayed due to the Great War. It was officially finished on Tuesday 27th January 1925 when the Major of Keighley (Robert Calverley) closed the valves. It holds 281 million gallons of water. Click on panorama for detail. 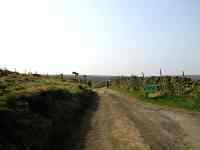 Continue along the track crossing a cattle grid. 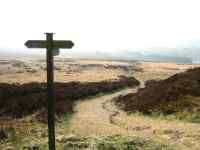 The next part of the walk is on open moorland and is an area of Special Scientific Interest, it is renowned for birds that breed here. 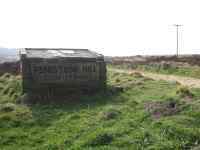 These include Curlew, Golden Plover Peregrine and Merlin. Mid-March to mid-July is the crucial time for these birds as they court, make nests in the heather and grass, lay eggs and raise chicks. It is essential to their survival that you respect their habitat. You can help by: Keeping dogs under control, not to start fires, move away if you see an agitated bird, take your litter home. 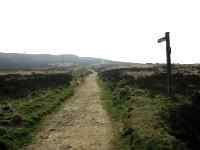 To the right of picture is Stanbury in the distance. Click on panorama for detail. Continue along the path. The walk is downhill from here. Careful climbing down the uneven stone steps.